Learning coffee break! Today some tipps on “form usability”, a topic that even backend developers should not leave alone. And for form validation: check if there is an “@”. Nothing more, nothing less. If you want to know why, read: The 100% correct way to validate email addresses. I worked on a website where many images should have an inner shadow. To not need to edit all of them in Photoshop, the “inset” value for the CSS3 attribute “box-shadow” came in handy, but it cannot be applied to images without more ado. I want to show my solution here. If this is not possible, e.g. because it needs a different position value or the z-index has unwanted side effects, I would use opacity instead, with a value of almost 1, so that no effect is visible but it still creates a stacking context. My first icon resource on the web is www.iconfinder.net. It is a very large database of icons and icon sets in various formats and sizes. They are licensed differently, so not all sets are free but even for free commercial use there are plenty. And you can filter by license. Iconizer is a big icon database very similar to iconfinder but adds icon customization on top. So even complex multicolor icons can be changed almost arbitrarily in color and size. 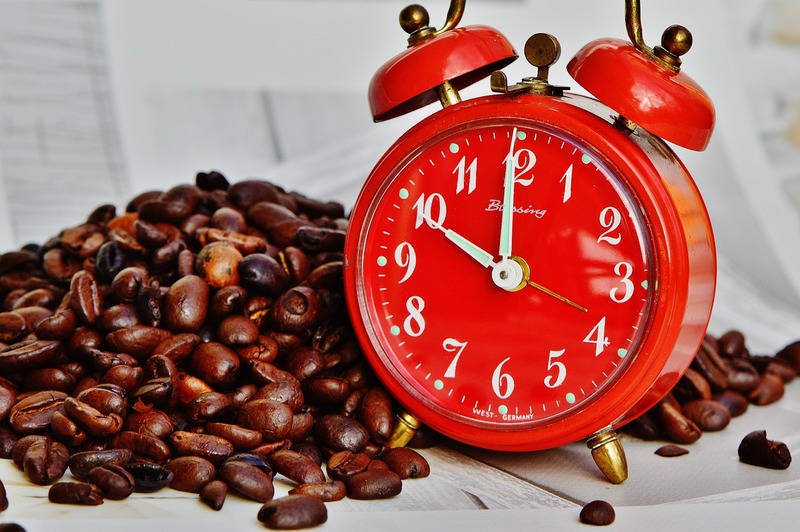 Choose your icons carefully to be easily recognized by most if not all of your target audience. 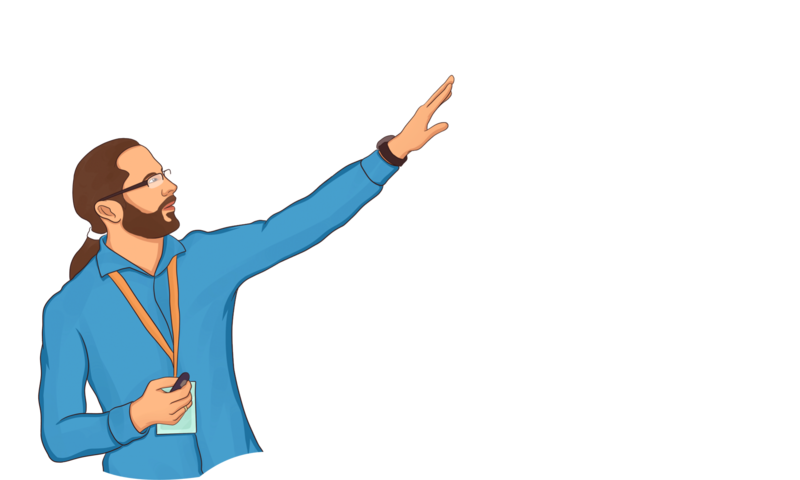 Even widespread icons like chains for “link” only seem to be natural for geeks like us but are not for your average Joe. 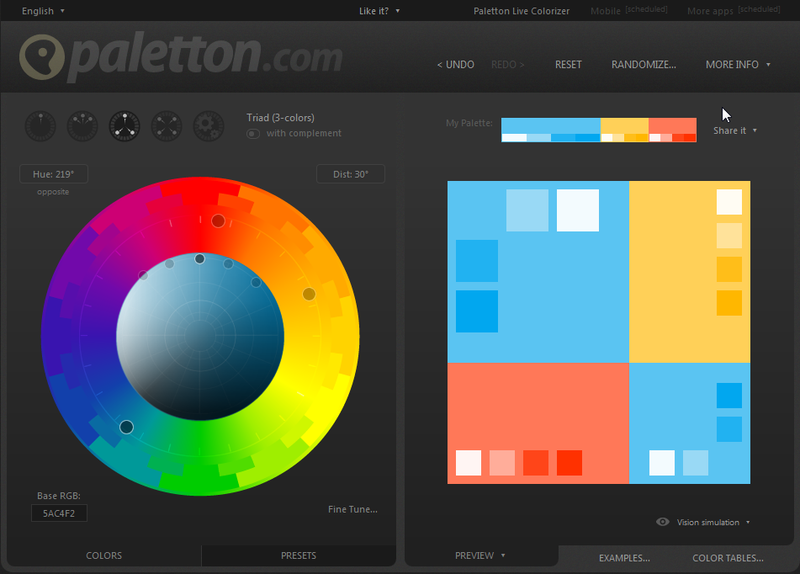 Simply click and drag the points in the color wheel with your mouse and get a matching palette in real time, including a preview how the colors look like on a website. Presets for lightness and saturation like “Pastel”, “Shiny” oder “Dark” are useful as starting points. A different approach: Here designers provide color palettes as well as patterns and single colors. 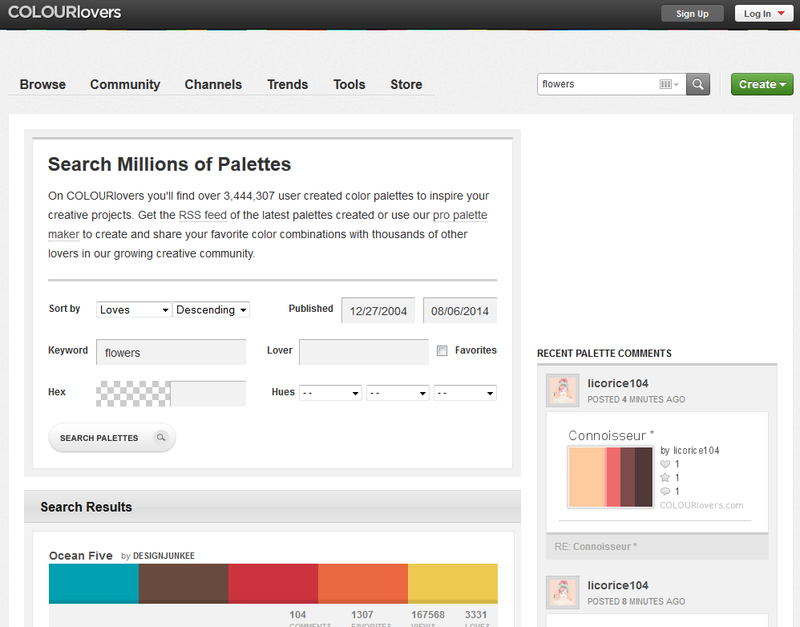 You can search palettes by theme, rate and comment them. Chooese from millions of hand crafted palettes! 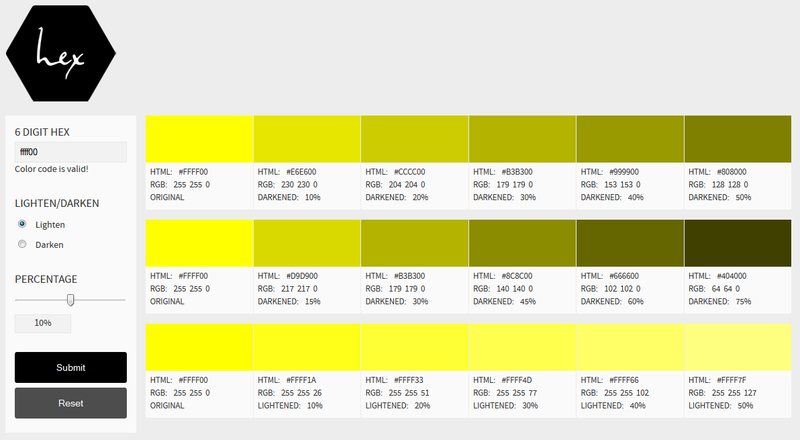 For monochromatic palettes the hex color tool suffices. Start with one color, choose the step size to lighten/darken, done. You can experiment with the inputs without losing previous results. Have fun with it and feel free to comment if you have any suggestions. If you are interested in how it works, visit the aforementioned link or read about the CSS Triangle trick at css-tricks.com. Sometimes you want to emphasize text but the bold version of a font is too “big”. With CSS 3 there is a simple way to thicken the regular font. For my current project I eventually decided to go with the narrow bold version, instead of the pseudo bold one. 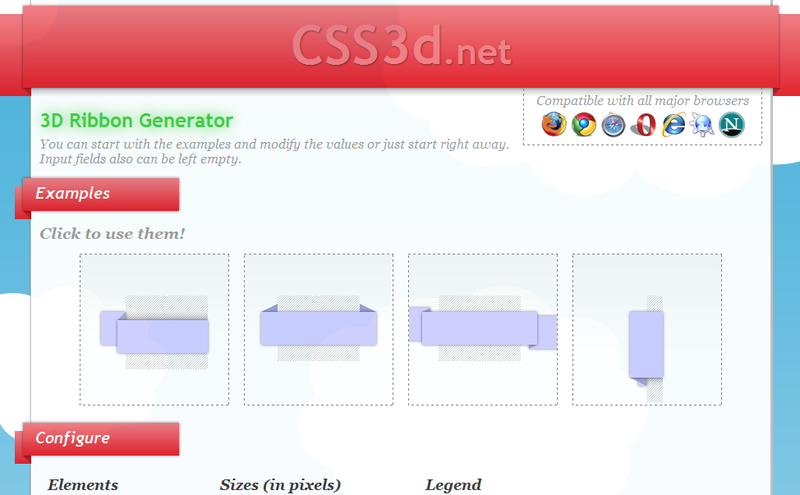 Bonus points: It is fully compatible with CSS 2. A typical CSS problem but I fall for it again and again. The whole site is shifted down 10-20 pixels in spite of every imaginable variant of margin:0 in the <html> and <body> elements. So what was it? A <h1> somewhere in the floating layout whose margin-top pushed everything down. Note to self: Always check for headings!